Jørgen Møller's Elephant achieved much fame – the iconic elephant shape is known all over the world. Despite its simplicity, the legendary elephant shape by Jørgen Møller is very versatile, even serving as a bottle opener. The Danish architect and designer created the endearing trunked mammal which became popular all around the world together with his grandson in 1987. Shortly after, more elephants followed the bottle opener by Georg Jensen, such as the savings boxes Moneyphant and Miniphant or the Elephant key ring. 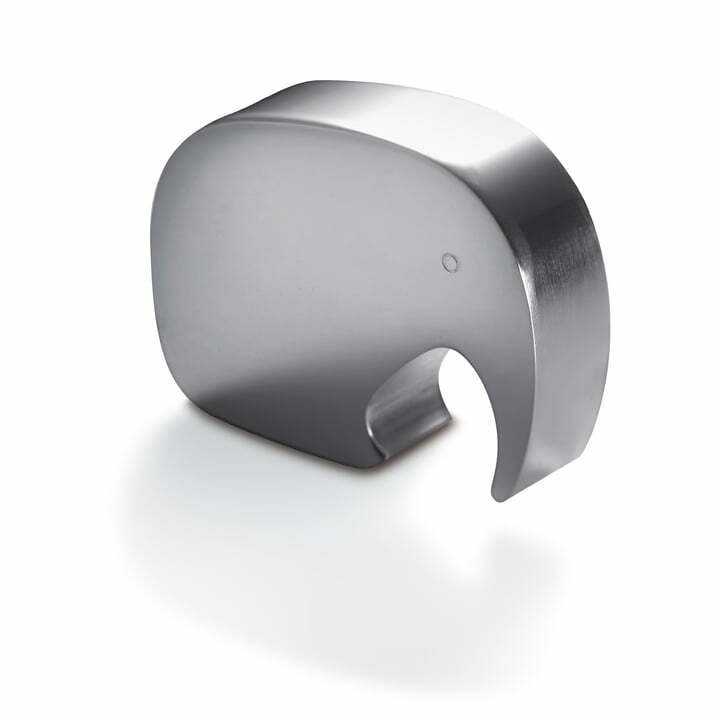 Georg Jensen produces the Elephant bottle opener out of aluminium. The material guarantees a long life and makes the elephant into a design statement even on its own on the table.